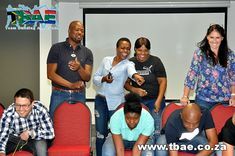 The Experian South Africa team building event took place at Arts on Main right in the middle of Johannesburg’s city center. 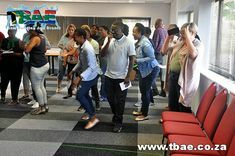 The creative space of Arts on Main ensured that this was a truly unique Corporate Fun Day team building event. Experian South Africa offers holistic solutions to the South African credit industry through comprehensive credit history information, analytical expertise and sophisticated software. 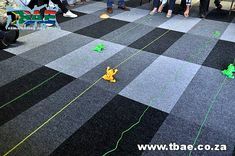 As a business, they believe in getting close to and understand their customers and proactively respond to the unique needs and circumstances of their customers. Experian South Africa’s creativity is reflected in the way that they support and develop solutions for their clients. 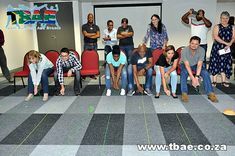 Their clients include leading banks, retailers, telecommunications and micro-lending companies in South Africa. Arts on Main in Johannesburg was the venue for the Experian South Africa team building event. Arts on Main is a multi-discipline arts centre combining studio, commercial, residential and retail spaces in a warehouse that was originally built in 1911. Originally a bonded liquor store, the building is characterized by industrial features such as double volume ceilings, concrete floors and over-sized windows. The centre houses some of the best contemporary art galleries in the country including, the Goodman Gallery and Seippel Gallery. 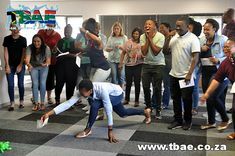 It is also home to Bailey’s African History Archives, the Nirox Foundation, David Krut Publishing and the Jozi Art Lab. 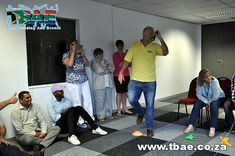 Arts on Main have a number of event areas suitable for exhibitions, book readings, film screenings and team building events. 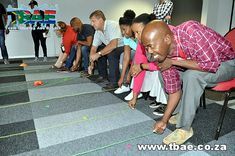 The theme of Experian South Africa’s team building event was TBAE’s Corporate Fun Day. 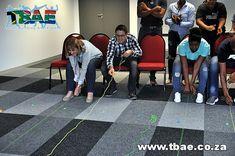 In this event, the group is divided into teams which then compete against each other in a collection of some of TBAE’s most popular team building exercises. 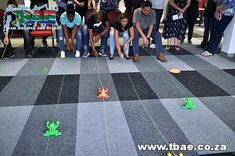 Experian South Africa took part in team building exercises such as Magic Carpet Ride, Hoola Hoop Races, Bush Golf, Puzzles, Hoola Hoop Down and Human Spiderweb amongst others. 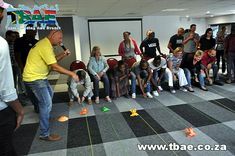 All the exercises are designed not only to be fun but also to encourage communication and group participation.